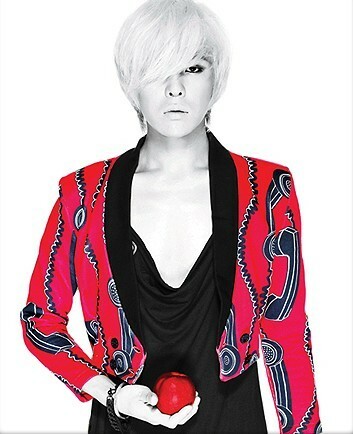 Japan's Amuro Namie plagiarized G-Dragon?! Recently Japan’s Hip-Pop queen Amuro Namie has been under attack by Japanese media and netizens for her new single Sit! Stay! Wait! Down! that allegedly sounds like G-Dragon‘s Heart Breaker. Japanese and Korean netizens are on opposite sides of the fences on this issue, but does this debate even matter? Asian artists have always sampled music from fellow artists from America and Asia. Furthermore, G-Dragon sampled Heart Breaker from Flo-Rida, which allows me to argue why this controversy the dumbest thing I’ve ever heard. First, lets not pretend that G-Dragon and Korea as a whole are innocent victims. Do I need to remind everyone that G-Dragon narrowly escaped his own scandal for this exact song in 2009? The only reason he was cleared was because Flo-Rida, made a video with him later. As a whole, Kpop has long history of plagiarism scandals. Hyori’s H-Logic album has so many questionable songs on it that she was banned from performing for a month. YG has been accused of plagiarizing several times, which hasn’t all been cleared. Sadly, we currently live in an age where only a few artists produce original work, and sample other artists’ music, both legally and illegally. So lets not pretend Kpop hasn’t been caught in this grey area of plagiarized music before. Second, I really think people don’t know what plagiarism means. Plagiarism is a blatant out right copy of an original work. Amuro Namie’s track has similarities but not enough to be called plagiarism. If a similar intro was all it took to be considered plagiarism, half the musicians in America would be sued. Also how can this song be questioned for plagiarism when the song that she allegedly copied wasn’t an original work to begin with? People need to give Amuro Namie a break. It’s not like she pulled a Baby Vox, and used his voice and beat in her new song. This claim may have been legitimate if it wasn’t inspired by G-Dragon, the same artist who has the most plagiarism scandals next to Lee Hyori. The beat of Namie’s track is vaguely similar but definitely not enough to call it plagiarism. In sum, this was drama created by netizens trolling the internet waiting to stir up another scandal. Why don’t you be the judge. Amuro Namie’s Sit! Stay! Wait ! Down! This accusation of plagiarism is nonsense and clearly the definition of plagiarism has been redefined as the result of this controversy but what do you think? After School: Street Fashion Divas?